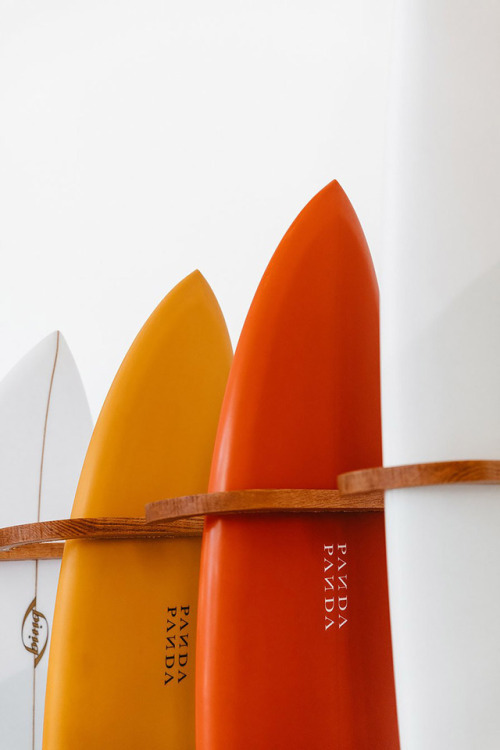 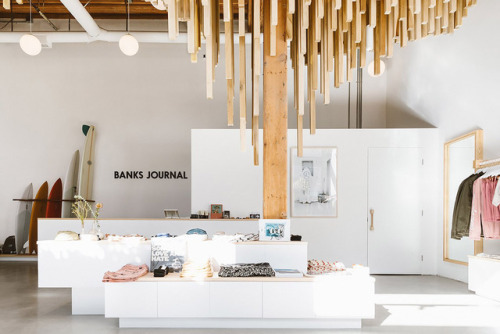 Located in the heart of downtown Los Angeles, adjacent to the Arts District, Banks Journal’s first brick and mortar fuses local surf culture with the brand’s ethos to provide a sleek, aesthetically pleasing shopping experience. 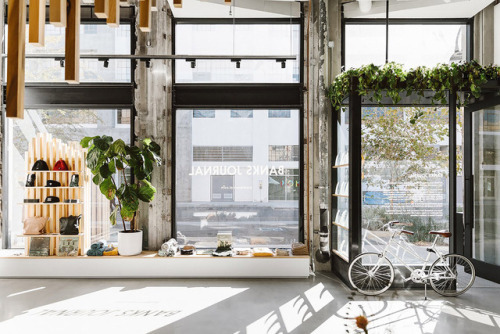 True to the Banks’ Japanese and Australian heritage, the design leans on a clean minimalist look, with simple lines, natural materials, and neutral Zen-inducing hues. 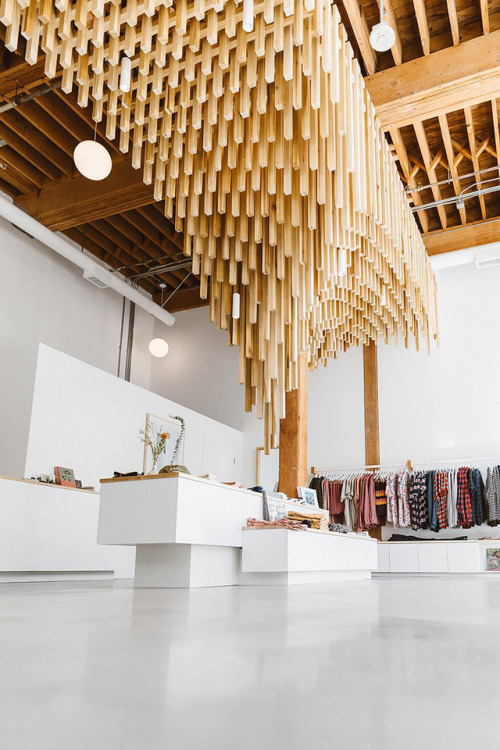 The DTLA storefront’s most conspicuous feature is a triple-vaulted wood lattice ceiling, designed to create a system of shapes and volumes within the 1,000 square foot retail space. 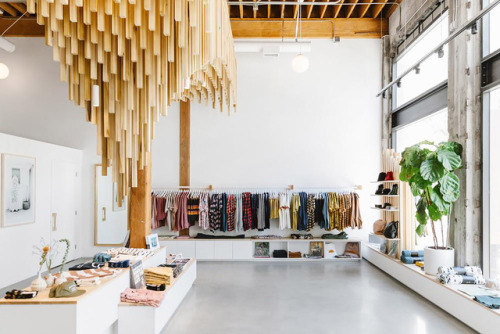 In crafting the spectacular installation, design firm West of West found inspiration in the Japanese woodworking tradition, and used 1,000 linear feet of wood. 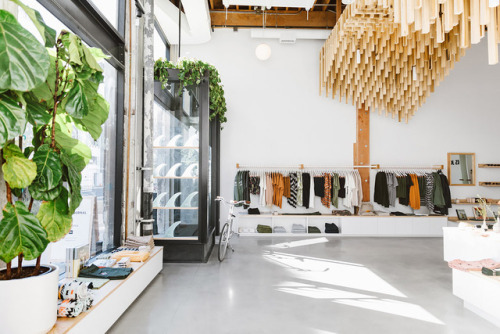 Housed in an industrial 19th-century building previously occupied by American Apparel, the store is part of ROW DTLA, one of the city’s largest and most creative new developments.